This story starts with a ceramic pot. But which one? Maybe the Lowerdown Pottery bowl I’ve treasured for over fifty years. Or maybe the piece that first inspired Bernard Leach, who is recognized as the “father of British studio pottery,” to take up the craft when he was invited in 1911 to a raku tea party in Japan. The story involves three generations of eminent potters: Bernard Leach, his son David Leach, and his grandson Simon Leach. Yesterday we had quite a big trip – to St. Ives & Lands End. …Arrived at St. Ives in time for lunch – fish & chips in a restaurant overlooking the harbour, watching the tide racing in across the sands. After lunch [our friends] sat on the beach while we explored – delightful little town, all higgildy-piggildy. …On the way out of the town we called at Bernard Leach’s studio… One of the greatest of modern potters. At the studio we learned that Leach’s son David, who had for many years worked at and managed the St. Ives studio, now had his own pottery at Bovey Tracey in Devon, which happened to be on the back roads route the British Automobile Association had mapped out for us. As we descended from Dartmoor on our way home, there it was: Lowerdown Pottery. David Leach himself greeted us as, children firmly by the hand, we looked around. Although I had very little spare cash, I indulged and bought a pot. Fast forward forty-nine years. At the urging of our family, Tony and I are trying to putting our affairs in order. We decide to start by making an inventory of our treasures. He photographs, I catalog. We come to the Lowerdown pot. Is it by David Leach or by one of his assistants or students? Its form has affinities with the work of Bernard’s friend Shoji Hamada, who is regarded as one of the most influential masters of studio pottery, and under whose tutelage David first learned the art. 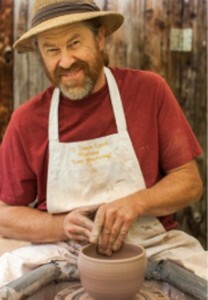 Simon Leach, grandson of Bernard Leach, as shown on the book cover for Simon Leach’s Pottery Handbook—a book-and-DVD package. About 1964 I visited Lowerdown Pottery and purchased a bowl from your father David Leach that has been a treasured possession ever since. I’m now trying to put my affairs in order for my heirs and am having a little difficulty finding a valuation for this piece — it seems most of his work is now in private collections or museums. 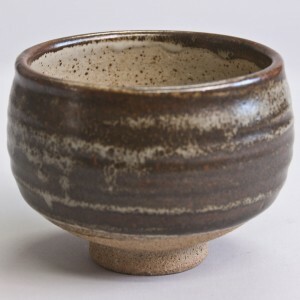 It’s stoneware, 5.25 inches in diameter on a narrow foot with his impressed mark on the base. Here’s a picture. If you could give me an estimate of what it’s worth, or where I might turn for this information, I’d be most grateful. 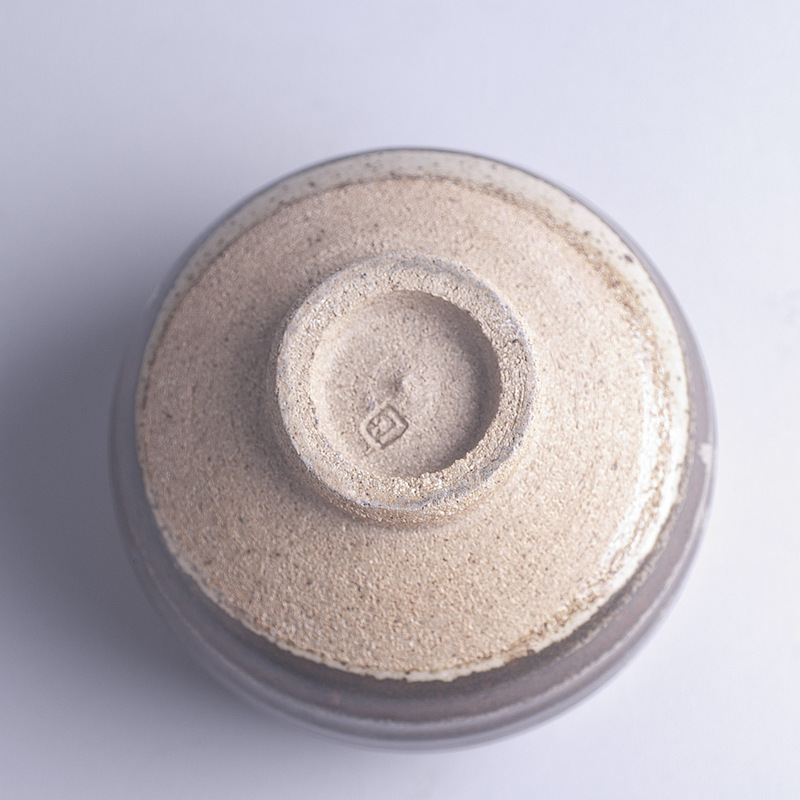 Please send me an image of the seal on the base – clear and in focus also of the other side of the piece. I will give you an approximate worth if I can. Having seen the seal I see that it is an L+ which means it was made at Lowerdown Pottery. My father’s work had an Ld to the base. This means that it was not made by him personally…but by an apprentice or other potter there at the time. Lowerdown pieces with an L+ are of course more plentiful than ones with the Ld so it’s value is somewhat less I would estimate. I would say it’s value approximately would be in the range 80-100 pounds sterling. If it had an Ld you might be looking at 250-300 pounds for such a piece. Not only did I have the documented valuation I needed for our inventory. I also had the pleasure of renewing a connection with this family of great British potters. 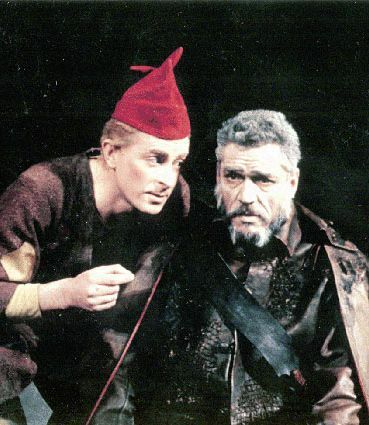 Even today, the Royal Shakespeare Company’s 1962-64 run of King Lear, directed by Peter Brook, is considered by the company’s actors the finest performance they have ever put on, and Paul Scofield’s role as Lear one of the greatest ever performances of this challenging role. I count myself incredibly lucky to have seen it. Tickets were in such high demand that the theater ran a lottery. Friends scored three of the precious cardboard chits in February 1964 and invited me to join them. Leaving the baby at home with my husband, I eagerly boarded the London train. 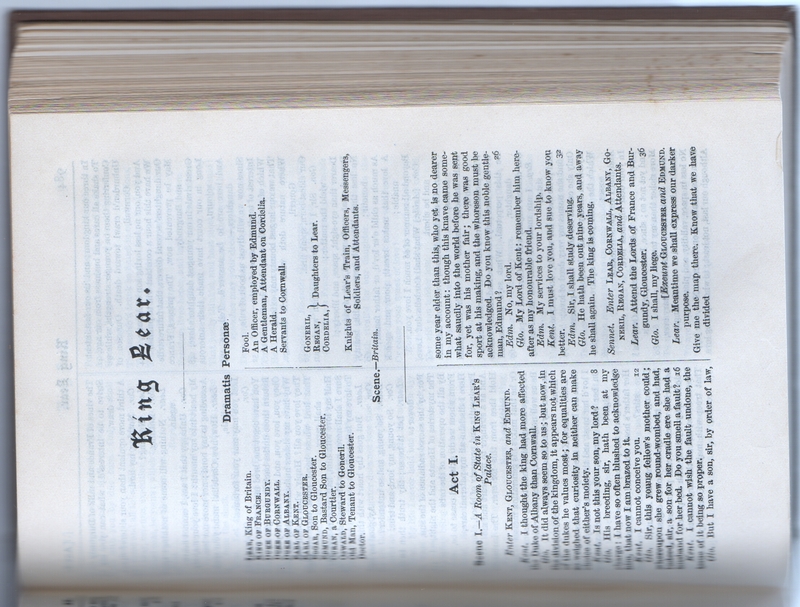 I had studied Lear in high school, but it was in the context of cramming for a national scholarship exam. The wild language of the storm scene as Lear descends into madness thrilled me, but I was more concerned with how I would write an essay about “objective correlative,” the idea that the storm as an outward happening can correspond to an inward experience and evoke this experience in the reader. Even so, the play’s themes resonated. At a sheltered seventeen, I knew little about sexual jealousy—married sisters fighting to the death over the attentions of a lover. But I knew about families, that instinctive knowledge about which of their offspring a parent loves the most, and competition for approval from the father. Scofield’s gravelly voice found its perfect setting in the harshness of Brook’s King Lear. 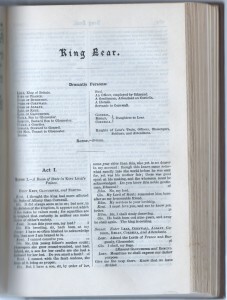 The Daily Telegraph review of the stage production commented on his “unsentimental, awesome, rasping delivery” and the depiction of a “society only one degree removed from savagery”. The Times commented on his “grating low tones, the powerful air of authority”. I missed the last train back home to Windsor. Curled up with a blanket on my friends’ couch, I could not sleep. I watched the glowing embers of their hearth fire fade to black as I replayed over and over the intense emotions of this great performance.